We don't have a laundry machine on our boat, all though some sailboats do, especially European models. I have used a laundromat in Annapolis. 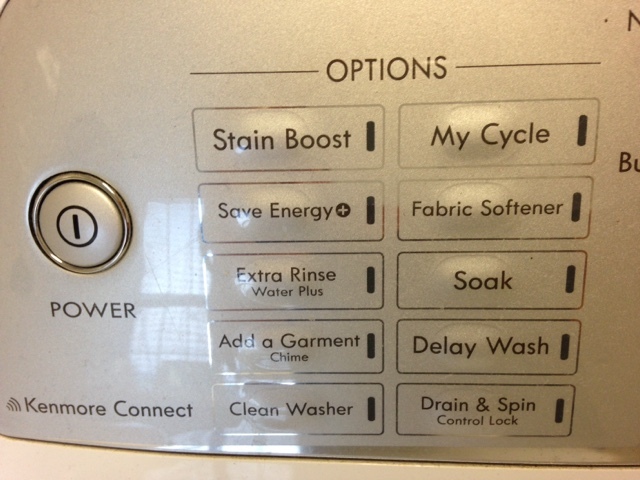 It was actually pretty cool--use 3 different washers/dryers at a time. They were commercial grade ie. faster, so I was back at the boat in under an hour--but we still had a car back then. When we first headed out, laundry was coordinated with marina stops to 1) refill the water tanks & 2) do some dockside maintenance. By the time we got to Carolina Beach, I did my first "dinghy-in-from-the-mooring-ball" laundry run. (Don't drop the laundry in the water. Don't forget anything. Pray it doesn't start raining on the way back.) The machines at the marinas have ranged from free(!) 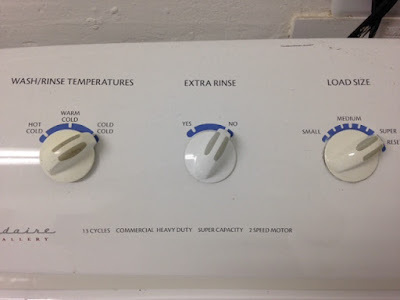 to $2/load (2 wash/2 dry = $8 in quarters). Separate load of delicates or blankets? Forget it. It's actually not as inconvenient as I thought it would be. At some point, we hear, we'll have to start paying a laundry service (Bahamas) or do laundry in buckets. Occasionally, I'll find myself standing in front of a new machine, contemplating which settings to use (lots of t-shirts, & moisture-wicking shorts.) I chalked it up to not having been the most conscientious housewife the last 20 years. However, something interesting has come up since we've been at the same marina for 2 months, that I hadn't really thought about. 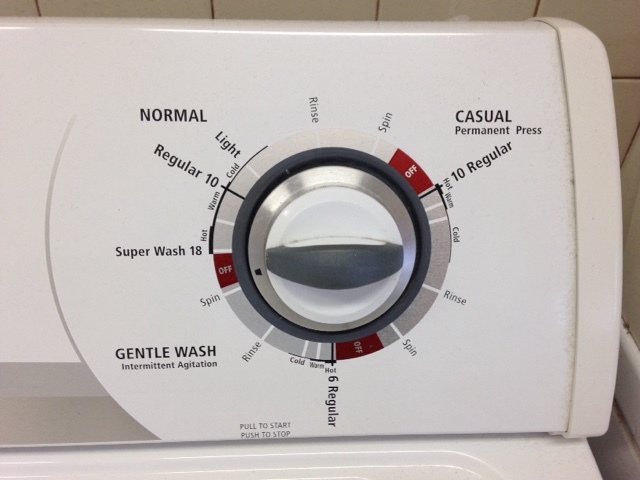 People have their favorite washers. No big deal. So do I, but someone finally said, "I like that machine because I have more control over the cycles." Huh? 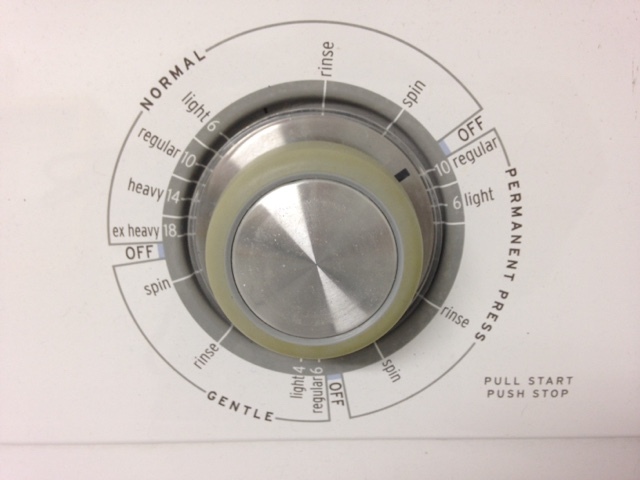 Granted, walking up to a new washing machine is always tricky. 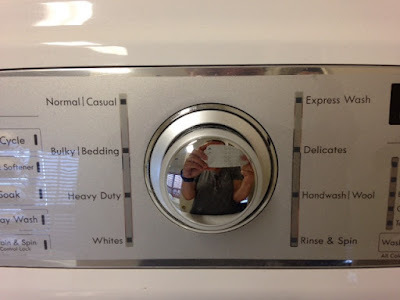 "Whites, regular, normal, cotton, permanent press, casual, colors." 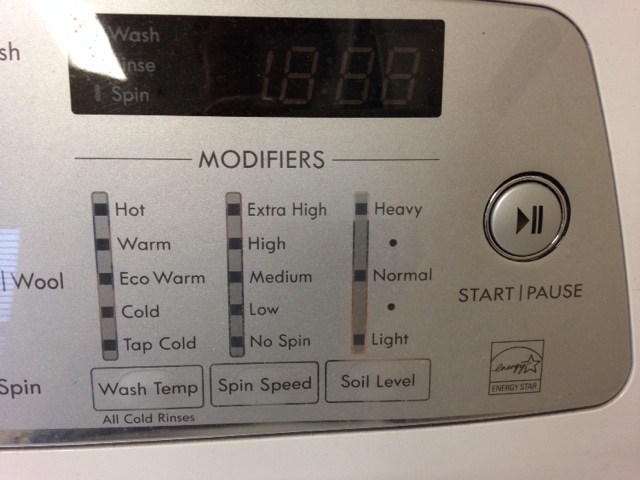 Newer machines have "modifiers" or "options" to make it even more confusing. Our marina currently has 5 different models of washers. I've always leaned towards the newer machines because they more closely resemble the machine I had at home. 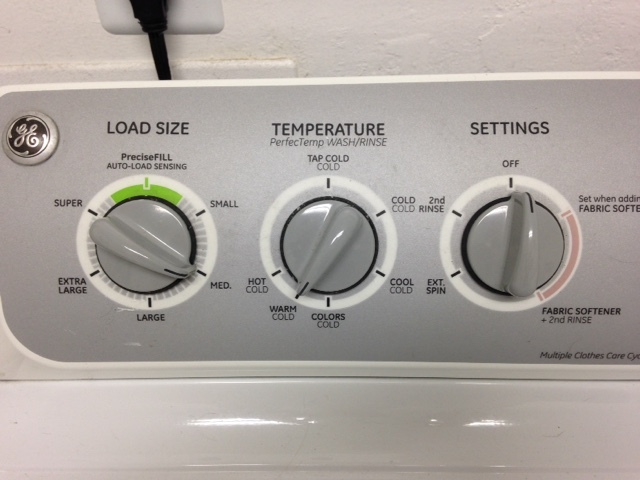 I also prefer the digital readout that says how many minutes until the load is done. However the newer machines here are quirky. The wash cycles is 54 minutes instead of 30 minutes. Huh? And since they "auto-sense" various things, I've actually stood there and watched the cycle time count up instead of down. It took me a few loads to figure out how to override it. (Now I can tell the new people because they are the ones standing in front of the washers trying to figure out why they are still running.) 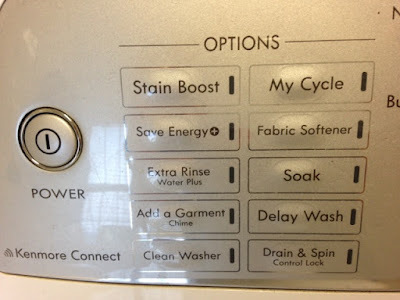 Did you know a wash cycles takes about 30 min on average? I do now! 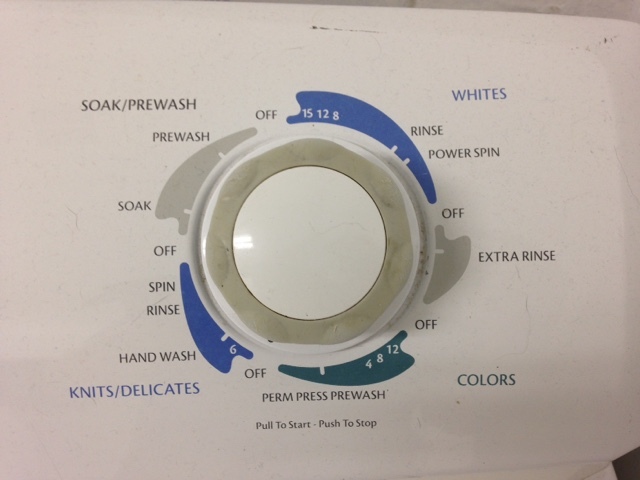 To make things more interesting, some marinas will have a strange combination like 3 washers and two dryers. Huh? If the machine says Casual or Permanent Press or Colors: warm water with medium agitation. Minimizes color fading & less wrinkles. Good for colors or synthetics (worried about those new jeans bleeding? Use vinegar instead of fabric softener the first few times). 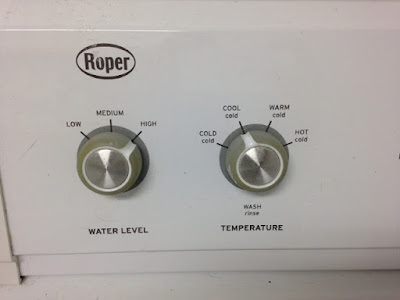 What if you choose normal and change the water temp? Do jeans go in Cottons or Colors? Blue running socks? Pink bathing suit bottoms go in in normal, permanent press or delicate? My poor husband & I could never agree if his khaki pants went in the "whites" hamper or the "colors" hamper ("But they're not white?!"). 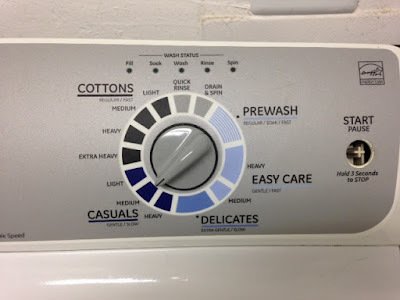 Have you ever read the wash recommendations on your clothing? (Besides to see if it's dry clean only?) Of course, to make it more confusing, tree-huggers say wash everything in cold. Washing machine 5---a few more choices!! !